Guwahati: Union Health Minister Jagat Prakash Nadda inaugurated the Cancer Hospital attached to the Gauhati Medical College (GMC). Nadda declared the Cancer Hospital as State Cancer Institute. The Health Minister also said that as per the Centre’s decision to have Super Speciality Blocks in existing Medical Colleges, Rs 150 crore each would be provided to GMC and Assam Medical College (AMC) in Dibrugarh for the purpose. For the State Cancer Institute here the Centre would also give a grant of Rs 120 crore besides reimbursing the Rs 90 crore spent by the state government for setting up the Cancer Hospital, Nadda said. The grant would be for equipment, upgradation of human resources and other aspects to be taken care of in the Cancer Institute, he said. A Tertiary Cancer Centre would also be set up in AMC at a cost of Rs 45 crore and proposals for such centres in Silchar and Jorhat Medical Colleges would be considered by the Union government positively. Speaking about the facilities in the Super Speciality Blocks, he said they will have 8-10 most modern operation theatres, approximately 60 ICU beds and 10 other beds, besides adding seven super speciality blocks. 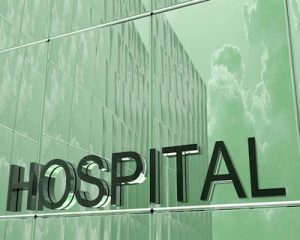 To improve health care facilities in the state, the Union minister said the local government hospitals in far flung areas would be upgraded to medical colleges. Nadda today laid the foundation stone of a Rs 189 crore medical college in Dhubri and tomorrow he would do so for Nagaon Medical College. More Medical colleges will come up in the state in the times to come to deliver health care facilities to the people here, he added. The Minister also unveiled from here AMRIT pharmacy in AMC, Fakruddin Ali Ahmed, Silchar, Tezpur and Jorhat Medical Colleges in the state where drugs, implants, surgical disposables would be available at an affordable price. The 200 bedded Cancer Hospital attached to the GMC is equipped with PRT CT along with medical Cyclotron machine costing Rs 32 crore, has a modern 10 bed ICU facility and 18 bed high dependency medical/post operative unit, besides a 15 bed day care unit to take care of patients with chemotherapy and for other day long services.